Paul didnt want to attend his brother's wedding in an out-of-shape body. He needed something better. See how he flexed his muscle and proved himself wrong! I was always tall and slender growing up. I graduated high school at 150 pounds and didn't have to work hard to stay lean (skinny was cool back then with big hair bands and skinny jeans). In my early 30s my metabolism started to slow and I didn't change my diet. Chubbiness started to appear in the places men don't want it. I dabbled with lifting from 2006-08, but nothing serious. When I was 36, I realized it was time to get after it. 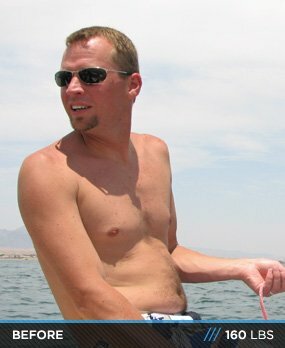 With 40 in my sights, I wanted to be in the best shape of my life, so I could proudly say that I'm 40. That obviously wasn't enough motivation because I did very little. In late 2008, I received a wedding invite from my brother who was getting married that following spring. I was going to see family I haven't seen in years. That gave me motivation to start my journey. 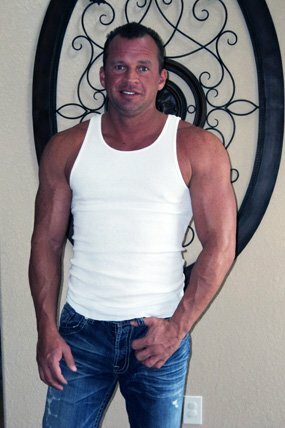 I hit the gym every day possible and stuck with the program I got from Bodybuilding.com. It took a few months, but I started feeling better and seeing growth. I found myself flexing in the mirror, which I didn't ever consider doing in the past, and challenged myself to work on different muscle groups until I saw change. It was on and I was 100 percent committed. I was active in my late 30s. I coached my boys in baseball, football, and wrestling, so finding energy or a competitive drive wasn't an issue. I challenged and rewarded myself for going to the gym. There were days when I didn't want to go, but I told myself to just walk in and see what happens. I usually did a couple warm-up exercises and got into it. Going to the gym was the hardest part. Sometimes I would meet a friend there, which meant I had to go. The biggest challenge is cardio; I absolutely hate it, but I have a running partner, so it's a commitment I have to do. I can see the diet being an issue going forward as I attempt to find my abs by reducing my body fat percentage to single digits. I see myself staying fit for the rest of my life. The thought of competing has crossed my mind a few times, but I realize I'm a few years from that. I plan to stay on this path because I feel better, happier, and more successful. It takes 66 days for habits to form—get there. When you start seeing gains, you'll be hooked and find yourself flexing in the mirror with a huge smile on your face. It's worth every ounce of sweat. Find a friend to go with so you have to commit and don't be afraid to get out of your comfort zone. Create a BodySpace account to track your gains, losses, and goals, and to meet others. You have to start somewhere. I highly recommend getting in the gym prior to New Year's. 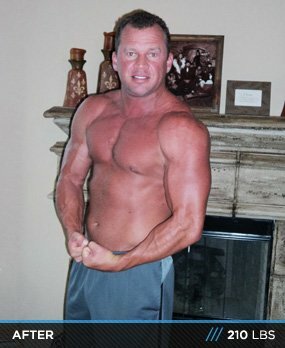 I have been a member of Bodybuilding.com for a long time. It's a one-stop shop for inspiration, motivation, and supplementation. I find myself on the exercise page consistently looking for new ideas for each muscle group. It's the best fitness site for beginner to advanced bodybuilders.